Are you looking to improve your production value? Use a good gimbal stabilizer. Ikan Beholder EC1 is one of the top-rated gimbal stabilizers that can significantly improve your video quality. You can shoot so many different types of shots by simply using one device. Ikan Beholder EC1 is one of the newer generation single hand gimbals with lots of helpful features. This gimbal is specially designed to keep your camera steady while shooting handheld and is perfect for a large range of medium and small cameras weighing up to 4.5 lbs (2 kg). It can be used with most of today´s DSLR and mirrorless cameras. Sony a6500, Sony a7SII, Panasonic GH5, Canon 5D Mark IV are just a few mentions. The Beholder EC1´s body is made out of aluminum, so you can expect a durable and sturdy device which is also very light to get you best possible video shooting experience even if you use the camera with the maximal (4.5 lbs) weight. On the handle, it has a smart OLED display that shows operation mode, power and battery life. Plus the Beholder EC1 handle comes with two 1/4-20 mounts that are perfect for mounting accessories such as a light, microphone, or monitor. A 3/8-16 thread located on the bottom allows you to securely mount the EC1 to a tripod, jib, or dual handle support system such as the Ikan DGH. 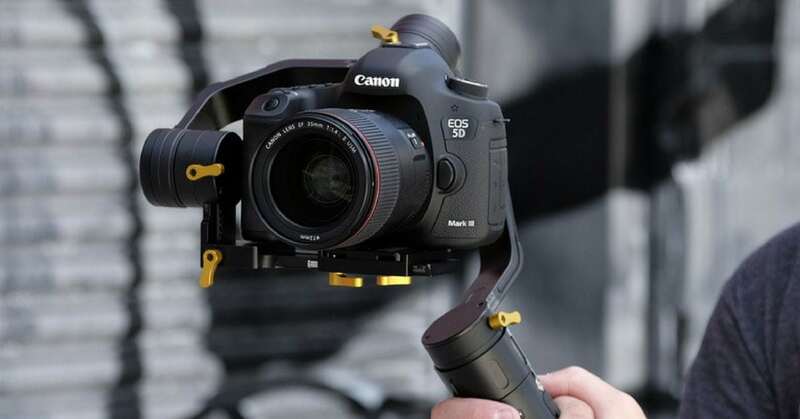 The gimbal comes in a single version, or dual grip (called EC1-DGH-KIT) which offers great stabilization for big DSLR cameras like the Nikon D750, or Canon 5D Mark IV. Balancing the EC1 should take about one hour for an experienced filmmaker – stabilizing all 3 axis can be a little issue here for beginners. But the result is fantastic. Thanks to its advanced stabilization technology which is using a 32-bit controller with a 12-bit encoder, the Ikan Beholder EC1 produces an awesome handheld stabilization. Another great feature is of this 3-axis gimbal are three 360 degree rotating brushless motors that give you a wide range of motion. It also has a total of five different Profiles or Modes. These modes can be selected via the mode button on the handle of the stabilizer. 3 Follow modes: In Yaw-Axis follow mode, the EC1 only follows your Pan movements. In Pitch and Yaw-Axis follow mode, the EC1 follows your Pan and Tilt movements. The last 3-axis follow mode gives you full control allowing you to Pan, Tilt, and Roll. Auto-Inversion mode: In this mode, the camera will be used inverted. You are able to switch to Inverted Mode at any time by simply flipping the handle over the camera. This mode can be operated in conjunction with any of the Lock and Follow Modes. Lock mode: The Yaw, Pitch, and Roll axis work together to keep the camera pointed in one direction. Long lasting battery life (up to 8-10 hours). We assume that you already know how huge is the market for gimbals. Finding a good, not overpriced device can take hours, but we believe that with the introduction of the Ikan EC1 Beholder we´ll save your time. 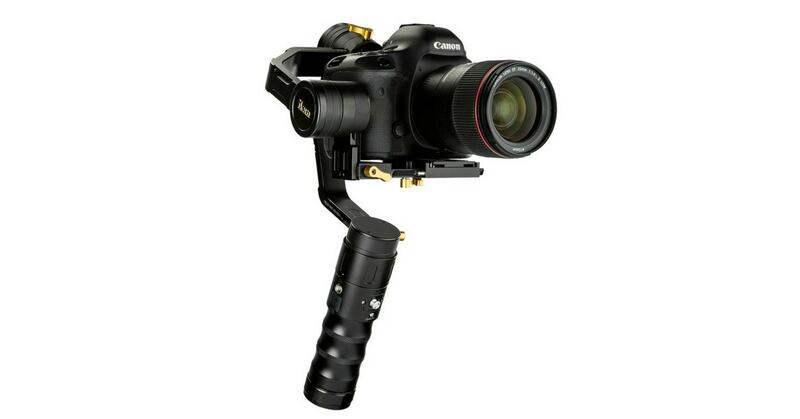 This gimbal stabilizer is a great choice for all filmmakers using small DSLR or mirrorless camera. It´s easy to use and balance, if your camera meets the weight requirements, and offers battery life of 8-10 hours – Ikan declares that 20 hour operating time is possible. 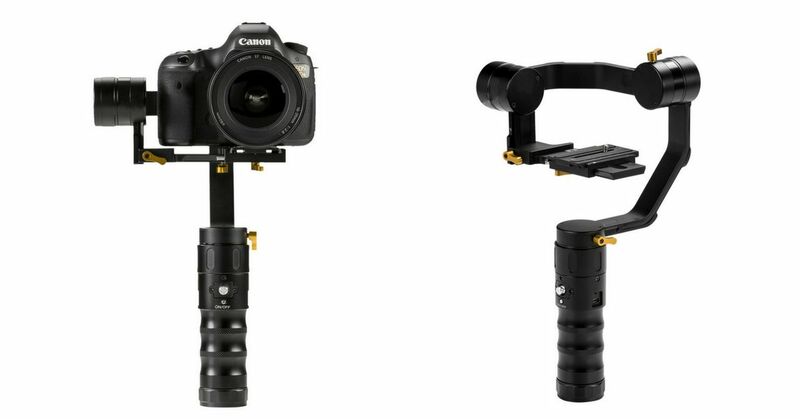 As we mentioned before, the market for gimbals is really huge. You can choose from a variety of interesting devices that are best suited your camera weight and your filmmaker´s intentions. DJI Ronin-M 3-Axis Gimbal Stabilizer – An excellent camera stabilization system designed to give the user close to the freedom of unencumbered handheld shooting but without the hand-shake. It is suitable for most camera types and configurations up to 8 pounds (4kg). Ronin-M is using brushless motors that work on 3 axes: one for side-to-side “roll” – keeping the horizon level – one for tilt, and one for the pan. 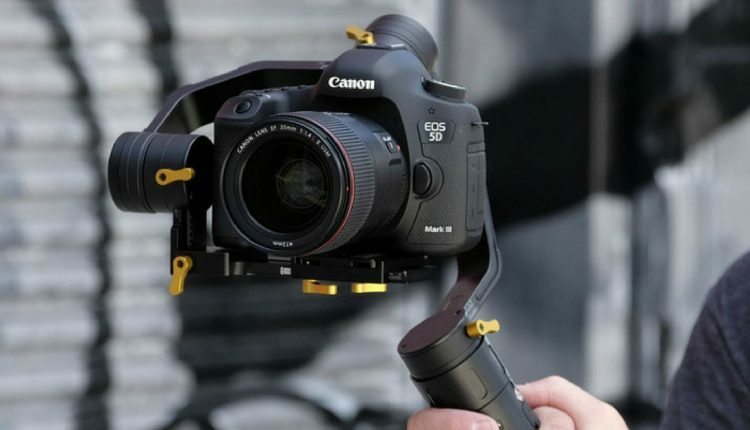 Zhiyun Crane V2 – Primarily designed for mirrorless cameras and DSLRs that are usually lightweight, Zhiyun Crane V2 offers a relatively affordable way to take the next step in creating professional-looking, cinematic video. 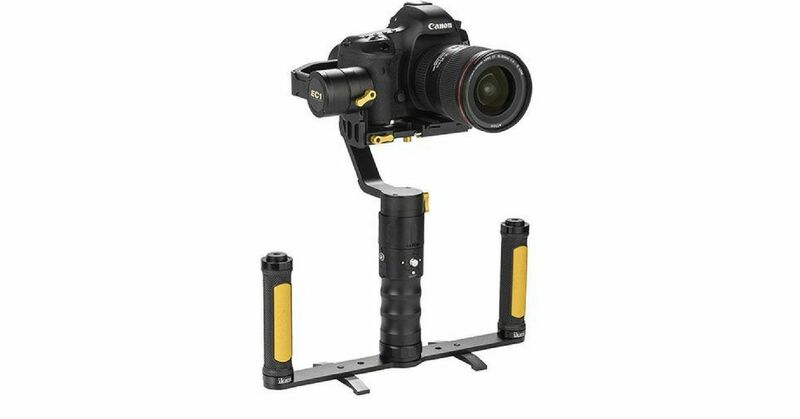 This gimbal stabilizer is a great choice for all filmmakers using small DSLR or mirrorless camera. It´s easy to use and balance, if your camera meets the weight requirements.